SCEM is hosted an Engineers Australia event at Parramatta South Campus called Experience It! The event was held on Tues 4th July and brought 150 female high school students to campus to hear talks on engineering and to participate in hands-on workshops. We exhibited our Solar Car, Baxter Robot and Virtual Reality displays. The Western Sydney Racing team was also there to offer their support. The news story is available here. At Western Sydney University, Technological Entrepreneurship, Games and Programming is taught by Dr Anton Bogdanovych, the Australian Computer Society 2015 ICT Higher Education Educator of the Year in 2015 and the South East Asia Regional Computer Confederation 2016 ICT Higher Education Educator of the Year. Associate Professor Vivian WY Tam, Director of Research, School of Computing, Engineering and Mathematics, successfully organized the Grant Thinking Week from 26 October 2016, 31 October 2016 to 4 November 2016 via Access Grid at Kingswood, Parramatta and Campbelltown campus, Western Sydney University. The purposes of this event are not only discussing several aspects of external competitive grant applications but also offering opportunities for academic and students to collaborate with guest presenters who are mostly former and current Australian Research Council (ARC) College of Experts. All attendants received invaluable suggestions, insight details on how the ARC processed grant applications and guidance from the presenters on how to attract competitive research fundings such as ARC Discovery, ARC Linkage and other types of industry fundings. Very fruitful discussions were also conducted during follow-on lunch. As a result, fruitful research collaborations have been initiated. 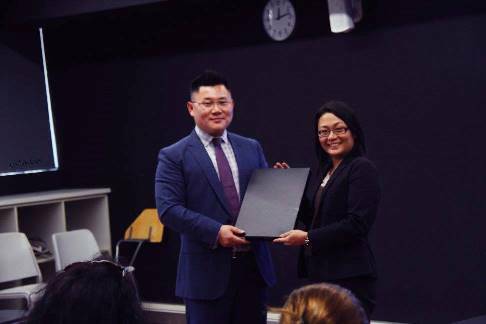 Associate Professor Vivian WY Tam, Director of Research, School of Computing, Engineering and Mathematics, successful organized the inaugural publication prize competition for school academics and higher degree research (HDR) students. 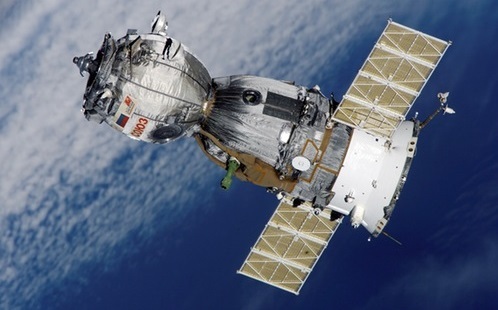 A review panel was independently selected by Research Engagement, Development and Innovation (REDI) to ensure the prizes are competitive and unbiased. There are four prizes designated to 4 levels of applicants: HDR Student, Post-doc/ECR (Early Career Researcher), Mid-Career Researcher and Professor. Congratulations to the four winners! From these prizes, the School aims to encourage staff and students producing high-quality publications with high impact to the broad community. 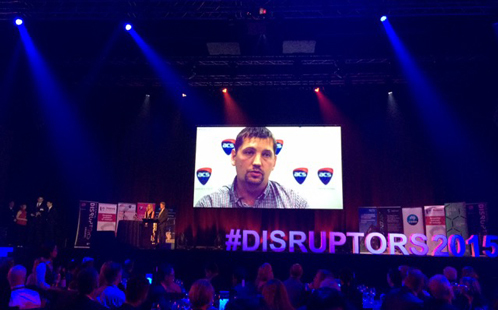 SCEM lecturer Dr Anton Bogdanovych has won the 'ICT Higher Education Educator of the Year 2015' award at the Reimagination Thought Leaders Summit organised by the Australian Computer Society. A lecturer in Programming and Video Games Development in the School of Computing Engineering and Mathematics, Dr Bogdanovych says the primary focus of his teaching is to make programming as fun for students as playing video games. 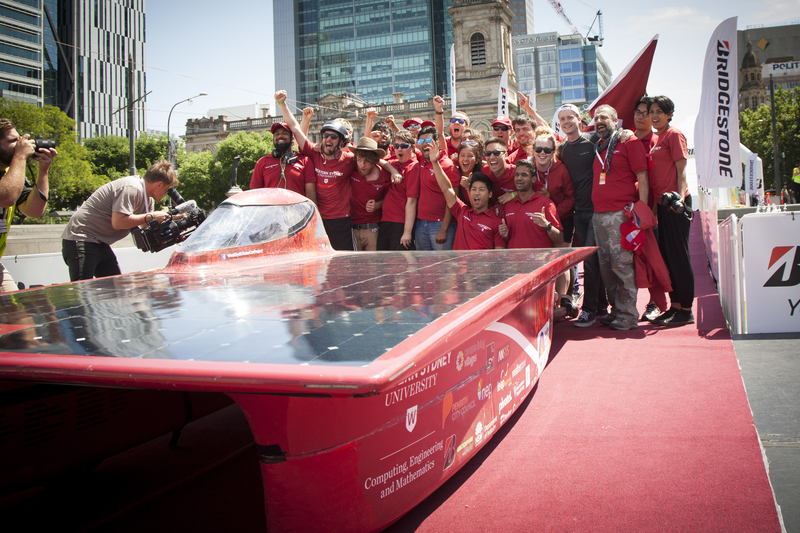 Western Sydney U Solar car officially finished the 2015 Bridgestone World Solar Challenge in the top 10! Well Done to the Team! They have arrived home safe and sound with UNLIMITED. However, it's back to the books with upcoming exams for the whole team! After a month long trip around Australia, it has been an unforgettable experience and they would like to extend a warm thank you to all the amazing supporters, staff and sponsors! Time for a rest before they hit the books again...(Pictured with the group is Dr Ali Hellany.